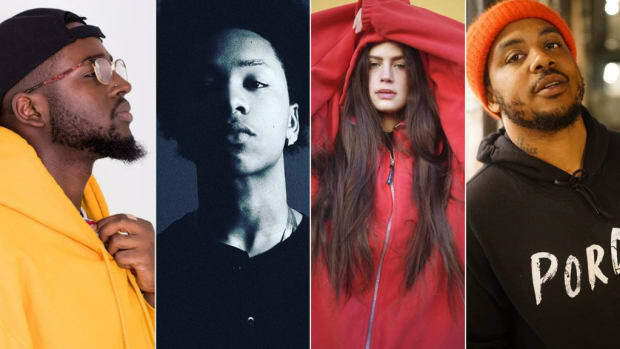 Another month, another five amazing R&B artists to check for. It’s been a quiet month for high-profile R&B, peaking with the March 1 release of Solange’s compositionally ambitious and texturally layered achievement When I Get Home. 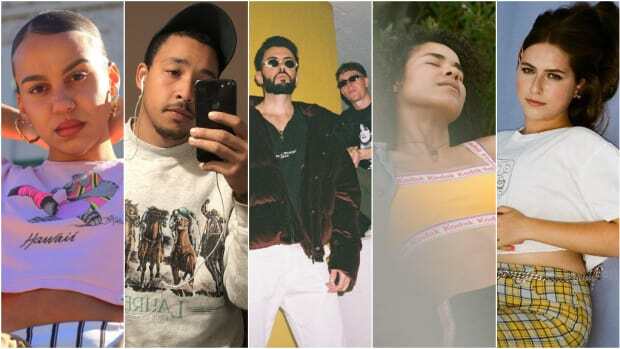 In the interim stretch between then and now, Kehlani’s February effort While We Wait has stayed in heavy rotation, Drake hopped on an anti-climactic remix to Summer Walker’s “Girls Need Love,” Pink Sweat$ went one for two with his follow-up singles to last year’s excellent EP, Volume 1, and Khalid continued to build buzz for his sophomore album, Free Spirit, set to drop on April 5. 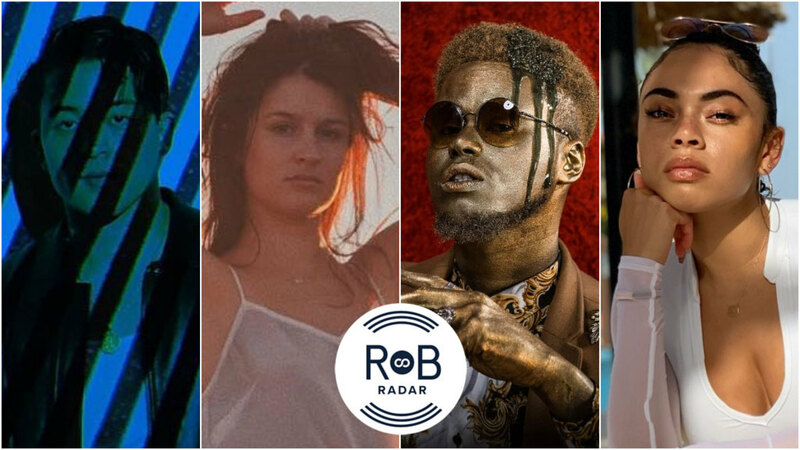 All of this is to say a great deal of the R&B I listened to this month has found its way onto my playlists through the good, old-fashioned music discovery I’ve sought to highlight across the first two monthly editions of this column. If you’ve yet to do so, check out these previous two entries, to read more about why I chose to launch this column, and to get caught up on the remarkable wealth talent I’ve spotlighted thus far. Otherwise, if you’re already up to date—or you’re exclusively looking to familiarize yourself with the latest fruits of my SoundCloud deep-dives—here are my five selections for March. Enjoy! Speaking in broad terms, the vocal run is a device that is most effective when it’s used in moderation. There’s a fine line between sprucing up a vocal performance by incorporating stylized phrasing and butchering a song altogether by oversinging. Fortunately, with the tight control he possesses over his voice, Julius never errs on the wrong side of this tightrope. Employing this tool to great effect to make his songs more viscerally affecting, there is no shortage of moments throughout Fear, Julius’ compact 2018 EP, that can disarm you to the verge of tears, often recalling the evocative delivery of Brent Faiyaz. 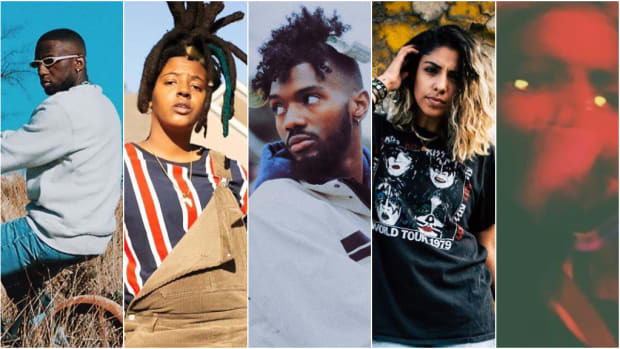 This easy comparison is further reinforced by the compositions Julius elects to sing over, which are typically sparse and minimalistic, not unlike the production Faiyaz is featured on as the lead singer of the R&B group, Sonder. On “Idk,” for example, Julius sings over a backdrop composed exclusively of understated vocal harmonies, allowing listeners to appreciate the dynamic range of his voice as it takes center stage. Ever since Jhene Aiko exploded onto the mainstream, following her feature on Drake’s 2013 song “From Time,” it’s difficult to estimate exactly how many female singers have tried and failed to build a career by mimicking her breathy affect, despite lacking the requisite songwriting chops to pull it off. Fortunately for alayna, she is not plagued by this same lack of ability, so listening to her music feels like a nostalgic reminder of why, at the height of its popularity, this sound was so endlessly emulated. Rather than a throwback to the generic sounds of five years ago, though, alayna’s 2018 EP, Sweet Soul feels like an instructive tutorial on how to use this sultry vocal quality in forward-thinking fashion. On songs like “Falling Autumn” and “Between Dusk and Dawn,” for example, Alayna freshens up this style by meshing it with indie rock sensibilities, creating a compelling hybrid that invites re-listens. Similarly, the song “High Off You,” pulses softly with the electronic synths of producer, Maths Time Joy’s subtle textures, offering the perfect canvas upon which to elevate this sound to new heights. In many ways an enigma in the current era of overexposure, Isaia Huron is extremely hard to pin down on the internet. 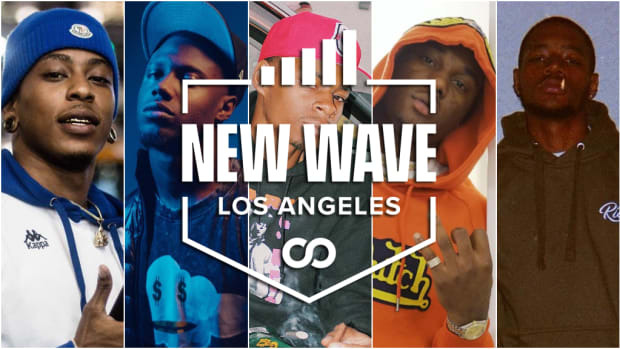 He has no Twitter page to speak of, his music is not officially available for streaming on any platform outside of SoundCloud, and his Instagram page—which was only recently reactivated—features just one picture of a model, and a link directing visitors to his SoundCloud. The fact that he’s racked up hundreds of thousands of plays on his songs, then, given how little promotion he’s put behind them, is a profound testament to their quality. These songs, raw yet not at all amateur, are similarly devoid of frills, pared back to their utter basics from a compositional standpoint, allowing Huron’s voice to take front and center. 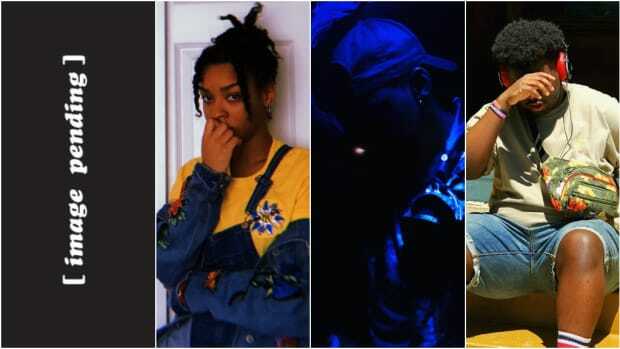 Calling to mind an acoustically-inclined PARTYNEXTDOOR, Huron admittedly doesn’t have the strongest singing voice, but he easily compensates for this shortcoming with his knack for song structure, appealing vocal tone, and lyrical specificity. More often than not, however, the periodic cracks you hear in Huron’s voice seem like they could easily be deliberately affected, adding to the organic aesthetic he seems to be shooting for more broadly. Anonymity aside, the overall consistency of this aesthetic seems to suggest Huron is readying himself for some sort of grand unveiling in 2019. When you consider that both The Weeknd and H.E.R. began their careers in a similar fashion, it’s hard not to let your imagination get carried away and fantasize about Huron following a similar trajectory. Listening to his music, it’s clear he has the necessary talent; all he needs to do now is stick the landing. Invoking a sound that is simultaneously retro and futuristic, XamVolo’s 2019 album All The Sweetness On The Surface is a cinematic journey through almost six decades of music, which could easily serve as the acclaimed soundtrack to a blockbuster movie about time travel. Running the full gamut of contemporary influences, ranging from D’Angelo to Leon Bridges to John Legend to Anderson .Paak, XamVolo’s music escapes the shadows of these daunting comparisons with shrewd compositions that find unique ways to mix and match these artists’ disparate styles. “Old Soul,” for example, begins with a jazz riff that calls to mind some of D’Angelo’s best work, but then subverts expectations entirely by incorporating electronic elements and digitally processed vocals into the song’s chorus. Similarly, “Beast” begins like a standard fare John Legend ballad, but then takes a hard theatrical turn towards the song’s bridge, which places it squarely back into the album’s overarching aesthetic. It’s worth noting, however, that this album is merely his debut release. Once XamVolo arrives at the end of this existential scavenger hunt, I can only imagine how impossible it will be to slow him down. The latest in a line of British R&B singers whose vocal tone feels like a cross between Lauryn Hill and Amy Winehouse’s (see also: Pip Millett from the inaugural edition of this column), Jaz Karis distinguishes herself from the pack simply by virtue of the sheer effortlessness she seems to embody. Listening to “Petty Lover,” you never get the slightest sense that she is straining to hit a note or selling an emotional beat to make it hit harder; it almost seems like she recorded the song in the middle of an otherwise casual conversation. In this regard, “Doubt My Love,” Karis’ most recent single, is a welcome departure from her previous output. Influenced by ‘90s R&B and dense with earworms, the song is a bit more uptempo than a lot of the music that populated Karis’ 2017 EP Into The Wilderness—all of which was perfectly pleasant to listen to, but sometimes scanned as too unassuming to revisit. Much more immediately infectious, this song is an indicator that Karis can embody poppier sensibilities, suggesting a type of crossover appeal that is rare to hear among more-soulful R&B artists. 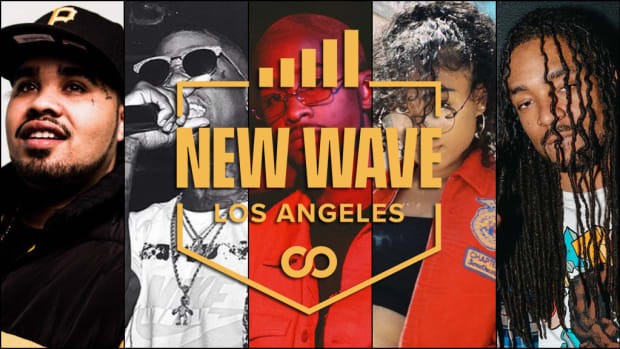 Racking up nearly six million views on her COLORS performance of “Petty Lover" last year, Karis has built on the buzz generated by her performance and is now releasing music under NAO’s record imprint, Little Tokyo Recordings. 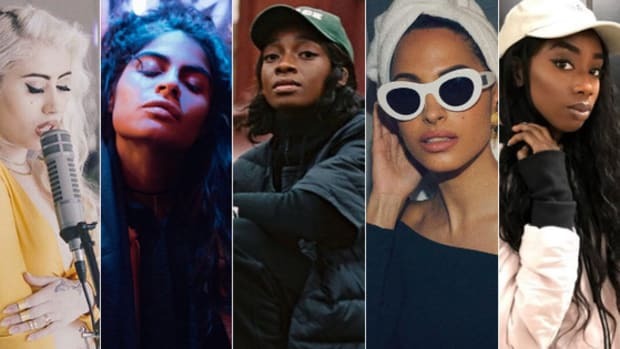 The quality of her music notwithstanding, all of these signs point to the possibility that 2019 could very well be Karis&apos; breakout year.